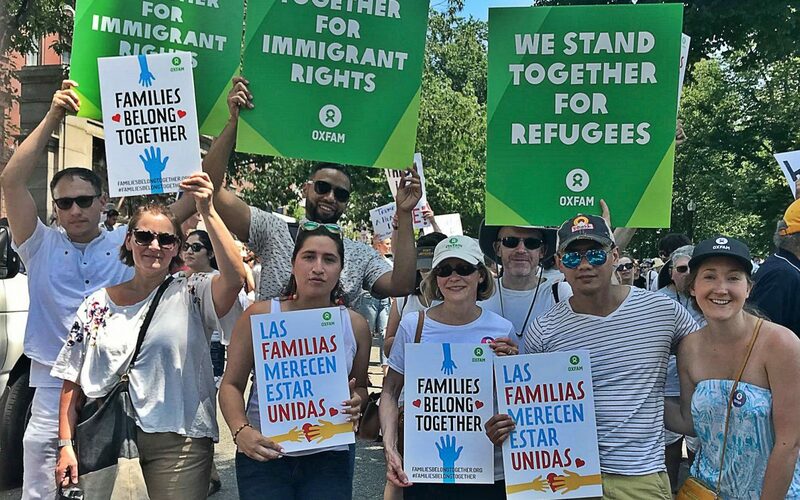 Oxfam America makes #goodtrouble at the Families Belong Together rally in Boston on June 30. Last week, the Supreme Court issued decision after decision that deeply hurt real people—all decided by the margin of one vote. With President Trump about to appoint another justice, this is the new reality for the highest court in the land. Millions are going to end up worse off— with fewer rights, diminished prosperity, and a society markedly less vibrant, inclusive, and democratic. The time to rise up is now. The Supreme Court is supposed to be a beacon of justice, the last refuge for the dispossessed and the downtrodden who—when every other avenue is closed—can find equal protection under the law. Over the past week alone, the Supreme Court of the US (SCOTUS) shut the doors of justice for migrants, teachers, police officers and firefighters, non-white voters, consumers, small business owners, and women seeking reproductive care. Every one of these cases was decided by the same margin—five old men made the rules for everyone else. Now we know who they prioritize—huge corporations, white voters, moneyed interests. And we know who they don’t—working families, people of color, immigrants, women, religious and ethnic minorities, LGBTQ individuals, young, old, and infirm–the people in this country most in need of justice. Monday, the court made it more difficult for people of color to vote: SCOTUS ruled in favor of a Texas GOP redistricting plan that, according to NPR, will “undoubtedly enable more suppression of minority votes.” Such gerrymandering works in favor of conservative candidates since nonwhite voters often skew more liberal. That same day, the court tipped the scales toward big corporations (credit card and high-tech companies) and away from consumers and small business owners. SCOTUS sided with American Express over credit card fees, with major implications for the credit card industry as well as some of the biggest platform companies (such as Google and Facebook). Tuesday, the court voted to ban people from Muslim countries, upholding President Trump’s discriminatory, immoral, and unjust travel ban. In 2017, Oxfam filed suit against earlier iterations of Trump’s Muslim ban, and our CEO decried this shocking and outrageous betrayal of our nation’s founding principles. Five justices shut their eyes and ears to the blatantly racist and bigoted statements that President Trump made over and over again calling for a Muslim ban, which Justice Sonia Sotomayor recounted verbatim from the bench. She began, “The United States of America is a nation built upon the promise of religious liberty. Our founders honored that core promise by embedding the principle of religious neutrality in the First Amendment.” The five justices shut their hearts–and our doors–to some of the most vulnerable people in the world. Wednesday, the court dealt a blow to unions and to workers across the country: SCOTUS overturned more than four decades of precedent by making fair share fees for public-sector workers unconstitutional. The Janus v. AFSCMEdecision hobbles unions, and undermines the collective power of workers. It hurts many of the most vulnerable workers: women, people of color, and LGBTQ individuals. Be ready for the trends in stagnant pay, worsening workplace conditions, and shifts toward contract work to worsen. And know that this decision was, essentially, purchased: It is the culmination of a decades-long anti-union campaign by conservative groups and billionaires, such as the Koch brothers. By funneling money through tax-exempt organizations (like the National Right to Work Legal Defense Foundation), these ultra-wealthy people have helped to finance a series of legal attacks on labor. One week, and so much injustice, harm, and pain. And now President Trump has the opportunity to appoint another justice. His second in two years, after Neil Gorsuch was confirmed to a seat that Senator Mitch McConnell held open for more than a year in an unprecedented rebuke to then-President Obama. Last week’s injustice is the taste of what the next 40 years will bring. Issues that will be affected: include reproductive rights, voting rights, immigrants’ rights, labor rights, gay rights, women’s rights, affirmative action, gun control, healthcare, environmental laws, anti-discrimination laws, pay equity, police brutality, criminal justice, prisoner’s rights, capital punishment, anti-corruption laws, and Presidential authority. In short, nearly everything. Lewis capped his tweet with the hashtag: #goodtrouble. It’s time for We the People to make some trouble—good, noisy, necessary trouble. We recommit to Oxfam’s mission to eradicate poverty and injustice throughout the world. We double down on our activism, we take to the streets. Join us. Now, more than ever, we need your help. 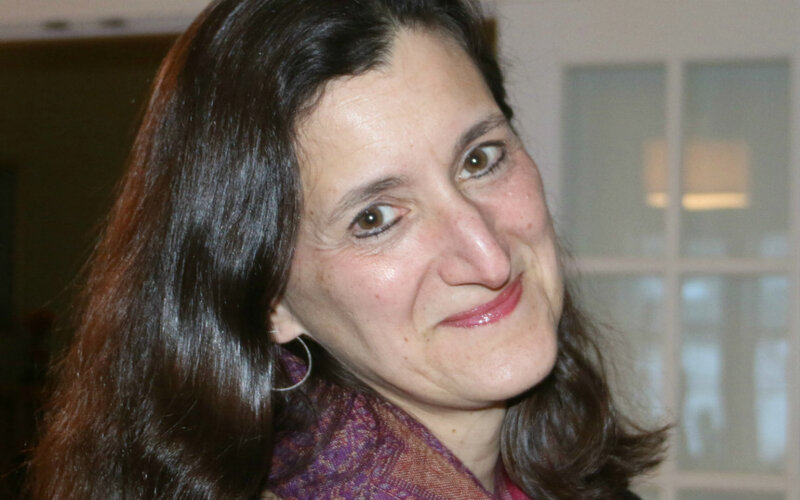 Mary Babic is the Senior Communications Officer for the US Regional Office at Oxfam America. We need all of you. Now more than ever.